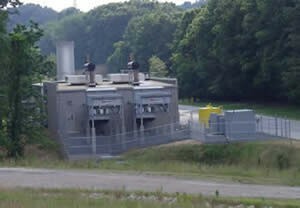 In August 2010, the Anne Arundel County Council approved a landfill gas-to-energy (LFGE) facility at the Millersville Landfill and Resource Recovery Facility (MLFRRF). The county teamed with the Northeast Maryland Waste Disposal Authority and the selected contractor, Landfill Energy Systems, Inc. to design, build and operate the renewable electricity generating facility. This project was brought to fruition by utilizing $2 million from the Federal Energy Block Grant. Design and permitting was completed within 15 months and construction began in December 2011. Less than 6 months later, facility start up and commissioning activities ensued. On July 24th a ribbon cutting ceremony was held to announce the completion of a brand new 3.2-megawatt facility that is online and continuously producing renewable “green” energy. The Basics– During operation and closure, a landfill will generate various gases, including methane via waste decompositions. Under the Resource Conservation and Recovery Act (RCRA), solid waste management facilities are required to control the migration of landfill gas, primarily due to the explosive potential of methane. As a point of reference, natural gas typically consists of 90 percent methane, whereas landfill gas ranges from 40-50 percent methane. The Facility– The MLFRRF is situated on 565 acres and is located at 389 Burns Crossing Road in Severn, MD. The gas-to-energy facility utilizes approximately 1200 standard cubic feet per minute (scfm) of gas in two Caterpillar G3520 internal combustion engines. The existing enclosed flare is only used to control the landfill gas when the energy facility is offline (such as maintenance events) and the newly installed utility flare is utilized on an as-needed basis to control excess landfill gas. The LFGE facility generates and exports approximately 3.1 MW of electricity (accounting for parasitic load) each hour, enough to power approximately 1,900 homes year round. The Green Aspects– The Millersville Landfill Gas-to-Energy Facility will produce enough electricity to meet the power demand of approximately 1,900 homes. Estimated greenhouse gas offsets from the facility include the reduction of approximately 6,375* tons of methane emissions and 15,130* tons of carbon dioxide (CO2) emissions with respect to diverting power generation from coal-burning power plants. 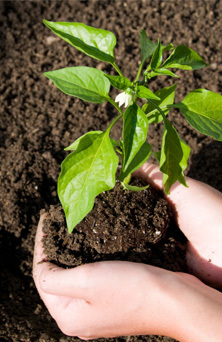 This is equivalent to planting approximately 28,821 acres of trees or removing more than 26,500 vehicles from the roads. *Estimate based on EPA Landfill Methane Outreach Program calculator.